The Baltimore MD City Council is considering a resolution to ban the use of plastic supermarket bags and condoms. 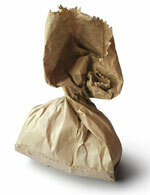 Suitable substitutes, such as paper bags, reusable bags or existing bags have been proposed. The Baltimore Bag Ladies Association and birth control activists can "barely" contain their anger over this development. Condom manufactures have said "here is another example of government intrusion flushing American business down the toilet!" Ordinary citizens have added their comments such as "Ouch and Yuk!! It is anticipated that this resolution, if passed, will reach the Supreme Court in early 2010. According to the ACLU "this is clearly a 14th Amendment issue, namely cruel and unusual punishment."